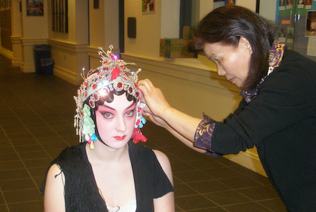 Wintergreen Kunqu Society provides educational programs to interested audience. 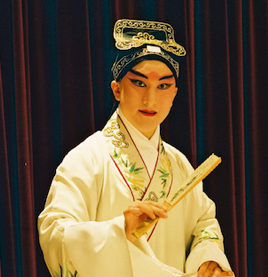 Below is a list of past educational programs organized by Wintergreen Kunqu Society. 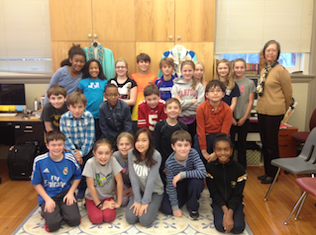 Ms. Tong-Ching Chang introduced Chinese Classical Theater-Kunqu to 5th grader students. including an explanation of the background and major elements of Chinese kunqu theater; a video clip of “The Legend of the Jade Hairpin,” and a 15-minute question-and-answer session. 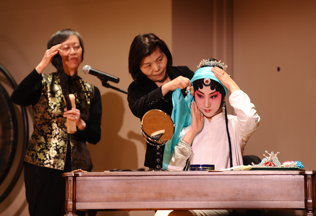 Shen Yili, Yang Guiyin, and Tong-Ching Chang conducted a pre-performance demonstration of Chinese Kunqu theater makeup techniques. Performers from the Shanghai Kunqu troupe demonstrated Kunqu movement to an audience of middle school children. 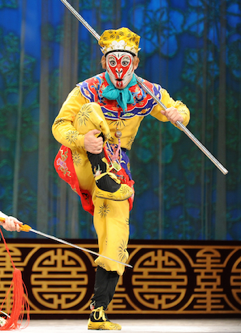 Audience members learned the movements of different role types such as the emperor, elegant lady of the imperial court, woman warrior, and the Monkey King. Participants had the opportunity to practice the different movements under the supervision of Kunqu performers Li An, She Yili, Gu Haohao, and Zhao Lei. Ms. Qian Yi served as moderator. 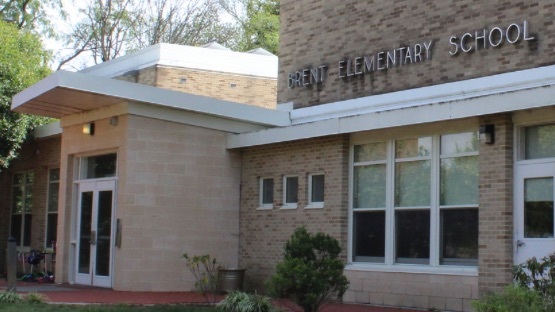 Ms. Tong-Ching Chang presented an introduction of Chinese Classical Theater-Kunqu, including a video, PowerPoint presentation, and hands on experience working with costumes and props, to approximately 30 third grade students. Makeup specialist Yang Guiying demonstrated how the process of preparing the young ladies role for performance. Professor David Ralston, Department of Asian Languages and Cultures at the University of Michigan, and Kunqu artist Qian Yi presented a one hour lecture-demonstration on the art of Kunqu. 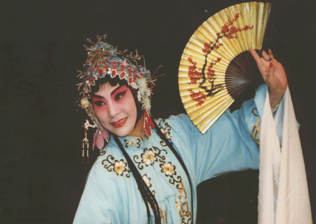 Professor Ralston gave a brief history of Kunqu and its place in Chinese culture. Ms. Qian demonstrated various aspects of Kunqu music, singing, movement, and various stage conventions. A twenty minute pre-performance lecture-demonstration of the music and movement in Kunqu theater by Professor Joseph Lam of the University of Michigan with the assistance of Mr. Wen Yuhang, formerly of the Beijing Kunqu Troupe. A workshop in which Malissa Altieri, 8 years old, and Chinese theater percussionists jointly demonstrated the interaction between kunqu stylized stage movements and percussions. 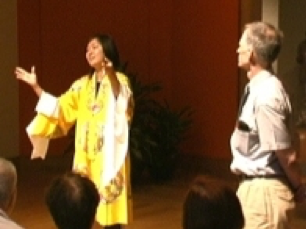 A lecture on Kunqu theater by Tong-Ching Chang at Madison Building, the Library of Congress, Washington, DC. A five-hour program on Chinese theater at St. Mary’s College, sponsored by sponsored by the Asian Studies, Theater Department, and Music Department of St. Mary’s College, MD. 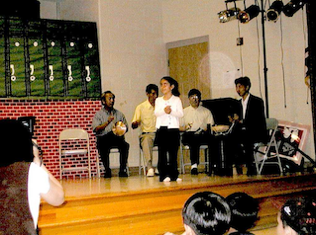 It included two workshops on Chinese theater and related percussion techniques and a Beijing opera performance.